The Sand Bar is a great place to meet other travelers and swap stories, The Sand Bar has a selection of beers, wines, espresso coffee and non alcoholic beverages available. Takeaway pizzas are available to enjoy back at your campsite. Gluten free/vegan options. Opening Hours are Seasonal, please call reception for more details or for a copy of the menu.There are many dining options in walking distance from the campground. The grocery and liqour store are also a short walk from the campground. Caravan storage is available for guests wanting to unhook and explore the 4wd track. Storage is $10 per night powered and $5 per night unpowered. Weekly rate avaialble for storage. Storage is not undercover. There is no dump point in Cape Tribualtion, so make sure you stop at Mossman or Port Douglas. 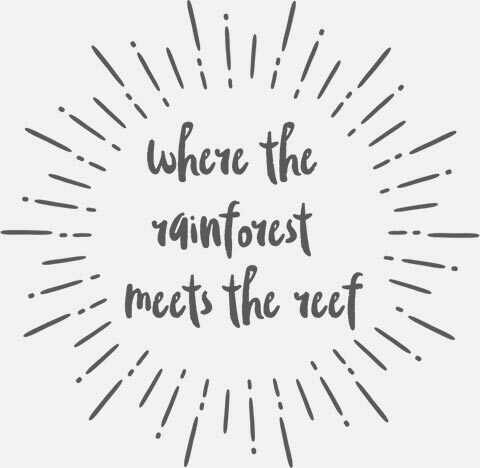 You will need to board the Daintree Ferry to get to Cape Tribulation. The ferry runs every day 6am - midnight, tickets can be purchased on arrival. There is no need to book just arrive and wait in the que. Caravans, trailers and boats can all be easily taken on the ferry. The ferry ride lasts for 8 minutes, just enough time to spot a croc in the Daintree River. Tip ask for a map when buying your ticket. All guests are welcome to roast marshmallows and enjoy socializing by the centrally located campground fire pit. Guests can also build their own fires on the beach. Individual fires at the campsites are not permitted. There is a coconut spike at the campground near the beach entrance - the husks burn great on the fire! The road to Cape Tribulation is sealed. The campground driveway is 800m of gravel suitable for 2wd vehicles.The campground is 45 minutes from the ferry - keep your eye out for the big yellow sign just after Masons Shop. Please ask reception for road updates and river crossing information. The Office is open 7 days a week, 10am - 7pm. The campground is open seasonally please contact reception for more details. Check in time is 2pm all campers are to arrive before dark. Check out time is 10am. Please call us to arrange arrival or departure outside these times. At the office you can book all your Cape Trib tours with the friendly office team, drop in and get some information, complimentary maps and travel tips. You can also purchase popular camping items such as ice, bait, washing powder, phonecards, mozzie spray, milk and bread. The grocery store is a short walk from the campground and fuel is located 20 minutes south of the campground. Once you depart the Daintree Ferry there is no longer mobile coverage. There is a payphone at the campground and on a low tide you can get one or two bars of telstra service out the front of the campground. Paid Wifi is available. Satellite TV can be picked up in some campsites if you have your own satellite dish. Two camp kitchens are available for guests in the campground, one in the northern end of the park and a smaller in the southern end. Both kitchens include free gas cookers, free BBQs, fridges, sinks, and plenty of table space. You will need to bring your own cutlery, pots and pans. Drinking water is also available from the rainwater tanks for small water bottles only. Bags of Ice can be purchased from reception for your eskies. 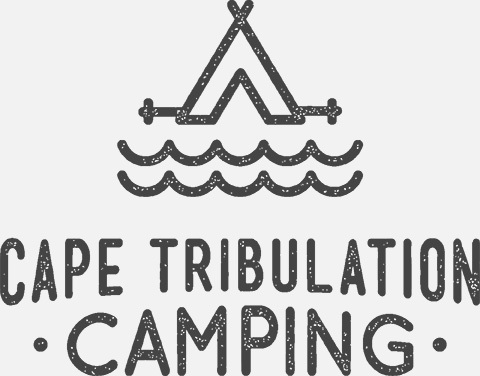 Cape Trib Camping has four amenity blocks available for guests. Features include hot showers, toilets and laundry facilities - coin operated washing machines and dryers. The amenity blocks are situated throughout the campground.There are power points in the amenity blocks for electric shavers and hair dryers. The campground runs on a eco toilet system so please be mindful of what you flush.